MID CENTURY INSPIRED IKEA FURNITURE - HIP HIP HOME! Hope everyone had a Very Merry Christmas. It's ok, all is not over yet. "The Holidays" technically last until New Year's, but AFTER THAT, it's all over! I was never one to get on the Mid Century bandwagon, but the last couple of months, learning more about the style has really changed my opinion. I understand people value it for the quality and craftsmanship, and also for the designs that were so much ahead of it's time. I mean the Eames lounge chair? It will still be modern in another 100 years. Of late, I have found myself being really drawn to the chairs of that era, and the sideboards. Ooh, the sideboards. 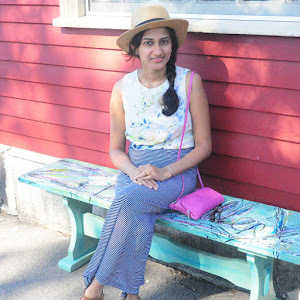 I also realized recently, that some of the side chairs and tables that were made in India in the 80's, are very mid century inspired. My parents got married in the 80's and all of their furniture was handcrafted during that time. I just realized my parents have some cool mid-century inspired dining chairs and side tables. Next time, I will be sure to capture a photo for you, and then proceed to tell mom that she's very hip! OK, now guess who is selling a lot of mid-century inspired designs? It's IKEA! Last year, IKEA released a limited edition collection of some of their designs from the 50's,60's and 70's.Those who were lucky enough to grab those, kudos to you! 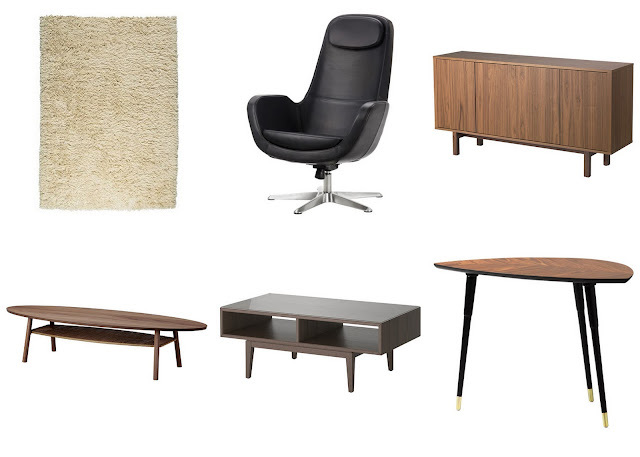 Today, I was browsing through IKEA and some of their new items caught my eye, for their mid century look. Here are some of them. If you are an IKEA fanatic, like me, then you already know that the STOCKHOLM series is their most well made and therefore, most expensive series. A lot of the above pieces are from the STOCKHOLM series. I think all of these would look perfectly at home in a mid-century setting. My favorite is of course the sideboard. I mean how can you not fall in love with that? I think I will head out to IKEA to admire it in person. So, what do you think about IKEA's venture into mid-century inspired design? I say, WooHoo!